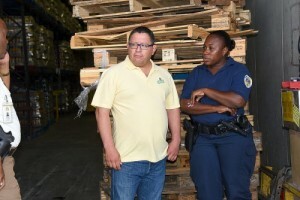 WILLEMSTAD - Once again the inspectors of the Ministry of Economic Development have found expired products at the import and distribution company Hector Henriquez. This time it is about expired spices and condiments. Last year there were issues with labels and fresh products at the wholesale trade. This time the inspector also ran into a man without proper work and residency documents.